Should You Lease a Car Instead of Buying? Here's How to Decide. Many people looking for a new car may know that leasing is an option, but the specifics of how it works and — most importantly — if it’s a good idea or not, can be a bit fuzzy. The truth is that leasing a car is a bit unique. It’s not quite the same as buying a new or used car and it’s a bit different from the traditional rental car. This means that in order to decide if leasing is right for you, you need to understand the specifics of your financial circumstances. Are you more concerned with monthly cash flow or the best long-term financial choice? Do you have cash for a down payment and/or time to save for one? Can you qualify for vehicle financing? Can you afford insurance and maintenance costs for the car you want to lease? The lessee (that’s you) pays money to the owner (the leasing company or dealership) to use the car. It’s usually a 2-3 year agreement in which you’re limited to a set number of miles per year. As you drive, the car’s value is reduced. As the lessee, you are paying for that reduced value (along with taxes and fees). Let’s say you lease a car that costs $25,000. The vehicle is estimated to be worth 70 percent of its initial value after you drive it for 2 years and 30,000 miles. With this lease, you’d be paying for the 30% of the car’s depreciation ($7,500) plus taxes and fees over the 24 months you’re behind the wheel. This cost is then amortized (paid off over time through a fixed payment schedule) over the life of your agreement and becomes your monthly payment. When your lease is up, you will generally have the option to either return the car to the dealership or leasing company, in which you are essentially free to walk away. Or, you can often choose to pay the remaining value of the vehicle and purchase it, essentially, as a used car. If you choose to purchase the car, you would need to pay the remaining value that’s calculated at the start of the lease. In this case, that would be $17,500. For many people, that can be a good deal. But it’s not right for everyone and in every situation. Leasing a car was once an option reserved for high-spending customers, businesses, or those with the desire (and the cash) to upgrade to a new luxury vehicle every few years. Now, leasing has become more mainstream. It’s an option in every class of the car market from subcompact to SUV. 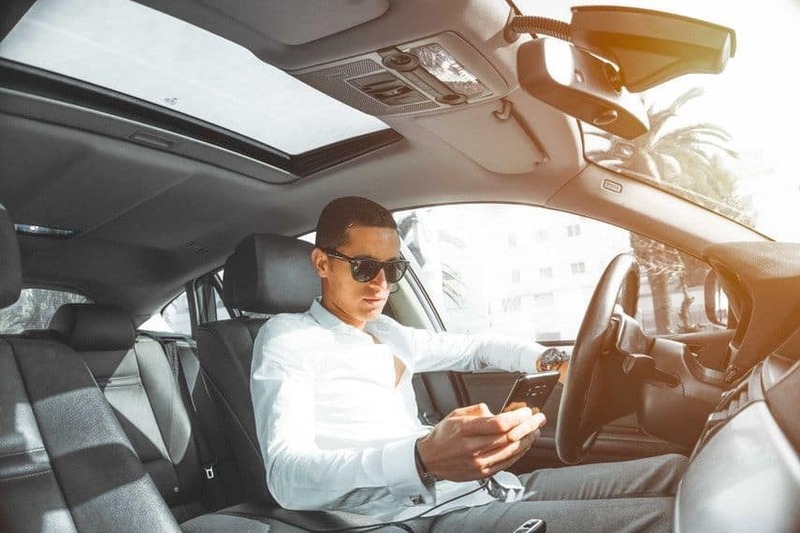 Even used car leasing has gained prominence in recent years, as more and more people are looking to get the best transportation options for their budget. While it may seem like an attractive option on paper — low to no down payment, lower monthly payments, and newer cars — is leasing actually the best option for your budget? There are certainly situations in which leasing is a better option than buying, but it’s important to know whether that’s true for your own situation before you sign a lease that could end up costing you. Before you sign on the dotted line, let’s walk through the pros, cons, and pro-tips that will help you decide if a lease is the right path for you. In many cases, car shoppers are making a decision between buying a car outright versus leasing it. When it comes to buying versus leasing, one isn’t necessarily better than the other. But one is likely a better choice for you, depending on your financial situation, your lifestyle, and your needs. The bottom line is this: In nearly every case, the most financially sound option is to buy a car, pay it off, and then drive it for as long as possible. Over the life of the vehicle, this will get you the most bang for your buck, and save you the most money in the long term. Leasing is generally a more expensive option over the long-term. But the trade-off is that, on a month-to-month basis, you will likely be able to drive a newer and more valuable vehicle at a lower monthly cost. This is where it’s time to take into consideration your lifestyle. Do you only drive a small amount? Are you the kind of person who loves to have the latest technology or safety features? Do you want a vehicle that’s unlikely to break down or need stressful and time consuming repairs or maintenance work? Would you prefer to avoid a big upfront investment? If you answered yes to any of these, leasing is likely a viable choice for you. A common question people have is this: What’s the difference between leasing a car and renting a car? The main difference is the time frame. While it’s theoretically possible to rent a car for as long as you’d like to, car rentals are designed — and priced –for the short term. You pay a per-day rate and, when finished, return the car to the rental agency. Leasing, on the other hand, is more like buying a car, in that you arrange the lease at a car dealership by negotiating a deal. Leasing is a long-term commitment, typically lasting at least one year (and usually up to 3 years). When you lease a car, you pay monthly, rather than daily. At the end of the lease term, you have more options: You can return the car, purchase it, or trade it in for another lease. Before you make your final decision, just know that there will be pros and cons to whichever route you choose to take. As long as you know what they are, you can make an informed choice and know that the cons will not outweigh the pros in your case. Leasing comes with a lot of advantages that may make it seem more attractive than buying. Leasing allows you to drive a newer, higher-priced, and better-equipped car than you might be able to afford if you were looking to secure financing to buy. You likely won’t be required to put as much down on the car (some leases don’t require a down payment at all). So, if you’re on a limited budget and don’t have much cash to put down or a car to trade-in on your new ride, then leasing may be a flexible option that give you more freedom to get the car you want. With a lease, you’re only paying for the car’s depreciating value rather than the full purchase price. You aren’t on the hook for any fluctuations in its trade-in value, and you don’t have to try to sell it when you want to move on — you just return it to the dealership at the end of the lease. If we look back at the previous example of a $25,000 leased vehicle, you can see how this works. If you lease this car for 2 years, you are essentially financing the depreciation ($7,500) over 2 years. But, if you were to buy that same car, you would need to finance the full value minus your down payment or trade-in. Most vehicle financing terms are for 5 or 6 years maximum, which means that your payment would be higher than the monthly cost of the 2-year lease. In addition to lower upfront costs and a lower monthly payment, leasing is also likely to cost you less in terms of maintenance and upkeep. Leasing can put you in a brand-new car. This means you’ll have a factory warranty that covers many troubles that could arise and you’re less likely to run into major repairs. It’s important to know that this doesn’t mean you’re entirely off the hook. Most leases will still require you to take care of all basic maintenance and any repairs that aren’t covered by the warranty. You could also get dinged at the end of your lease if there’s damage or excessive wear and tear to the vehicle. But, all in all, you could still save money, time, and stress that comes with car ownership. Unfortunately, the advantages of leasing a car aren’t the whole picture. Of course, there are reasons many people choose to buy instead of lease; leasing comes with downsides, too. With a lease, you won’t build any equity if you decide to walk away at the end of the contract. You may decide to purchase the car for its remaining value, which means that you’ll be able to capitalize the money you’ve spent over your lease. But if you choose to walk away or lease another vehicle, you won’t get back any of the money that you’ve put into the car up to that point. This also means that if you continue leasing cars one after another, you’ll always have a monthly payment and you’ll never own the car outright. It’s important to carefully review the terms of your lease. Like with renting an apartment, there may be extra charges or fees included in the contract—some that you may not expect. For example, if you go over the mileage allowance specified in your lease, you could end up paying per mile for the overage. You’re also expected to return the car in the same condition it was in when you got it, which means any damage beyond normal wear-and-tear could end up costing you. When calculating what you can afford to pay for a lease, don’t forget to factor in the cost to insure the vehicle. While liability insurance is typically all that’s legally required to drive, many car leases will require comprehensive coverage to protect the value of the leased car. For a new vehicle with a lot of bells and whistles, this kind of coverage can be costly. Your age and driving record can also affect your insurance rates, so if you’re young or have a history of crashes or traffic violations, expect this to be a significant cost that comes with your lease. With a lease, you have less freedom to configure the car to your liking. Customization will usually violate the lease terms. And once your lease is up, you don’t have a trade-in or cash from a sale to invest in your next car. But, more importantly, you’ll also be constrained by the terms of your lease. For instance, leases generally include a yearly mileage allowance between 7,500 and 15,000 miles. If you drive a pretty predictable amount, this may be fine. But it could also mean that you have to pass on a spontaneous road trip or pay extra fees if you end up going over the mileage you expected to drive. Now that we’ve examined both the benefits and the downsides of leasing, let’s dig into the final decision. Of course, it depends on your current financial situation and what you want and need from your vehicle. If you’re trying to decide if leasing is right for you, here are some key questions to guide your thinking based on what we’ve shared here. Most “finance gurus” will tell you that leasing is a bad deal. That’s because, over the long term, it will cost more to lease rather than owning a car, as we covered above. But, that also ignores the financial reality that you may be facing. Leasing is still likely a cheaper option on a month-to-month basis. So, if you’re on a limited income or need to lower your monthly expenses in order to pay off debt or build savings, it may be a good short-term solution. Depending on your plans for the vehicle, leasing may be a good short-term solution that sets you up for a future purchase. If you plan to keep the vehicle after the lease, you’ll need to finance the remaining value. But that means that you’re able to basically finance the cost of the car over a longer term (lease length + financing term). So, rather than paying to finance a brand new car over 5 years, you could spread the cost of the vehicle over 8 or 9 years (3 year lease + 5-6 year loan). One of the biggest limitations on a leased vehicle is the mileage allowance. So, you should feel confident going into the deal that you won’t exceed your yearly mileage and end up with a big bill at the end of your term. Under some financial circumstances, your decision of whether to lease may be spelled out for you. For instance, if you don’t have any money for a down payment and you need a dependable car quickly, then leasing could provide you the flexibility to get a vehicle now so you can save money for a down payment in the future. While some cars can be financed with no money down, this is rare and often requires stellar credit. Again, leasing may not be the best long-term financial decision when looking only from a strict dollars-and-cents point of view, but it can help some folks get out of a crunch or navigate a difficult financial situation. If you have poor credit score or limited credit history, it may be difficult to get a conventional auto loan. Leases often come with their own underwriting processes and will require a credit check. But, often, dealerships have more flexibility to approve a lease for borrowers who may not qualify for financing from a traditional bank or lender. Again, if you need a car and can’t qualify for a loan, then this may be a short-term solution that’s right for you. This may seem like a no-brainer, but don’t forget about the cost of insurance and maintenance on the vehicle you’re buying. Sure, maybe you can afford the monthly payment on a leased Mercedes, but it won’t feel great if you can’t pay for insurance and oil changes. Once you’ve tackled these questions and done some solid research about leasing options in your area, you should be ready to make the call. If you do choose to lease, be your own best advocate to ensure you get all the advantages that can come with well-designed lease terms that secure the best possible deal for you. After carefully weighing the pros and cons, you may decide to pursue leasing a car for your next vehicle. Before you do, arm yourself with the knowledge you’ll need to get the best possible car lease deals. Most people are aware that you can offer a lower price when purchasing a car. But many don’t know that you can also do it when you’re leasing. Your monthly lease payments will be based on the full sale price of the car, even though that’s not the price you’re paying. So if you negotiate that price down, you’ll score even lower monthly payments. Can you lease a car with no credit? What about bad credit? The answer isn’t an outright no, but as with most transactions that involve monthly payments and interest, leasing a car with bad or no credit is going to be a lot more difficult. Take steps before you even apply for a car lease to ensure your credit is in good shape. Pay down debt and ensure that you make monthly payments on time. If your credit needs repairing and you don’t have time to work on it before trying to lease a car, see if you can find someone with strong credit to cosign for you. If you find yourself negotiating a lease with poor or no credit, keep a close eye on the terms. A dealer may try to make the lease look more appealing to you by offsetting a high interest rate with a large down payment or a low mileage cap. These are common tricks dealers use to make leases look like good deals even if they’re not — but more on that below. Some leasing companies will use common tricks to manipulate the monthly payment amount, making it look like you’re getting a better deal when you’re actually not. For example, they may lower your annual mileage cap, or increase the term of the lease. Both tricks will result in a lower monthly payment, but ultimately, a worse deal for you. Pay careful attention to all the terms of your lease to make sure you get exactly what you want. Dealerships may require one in order to make your monthly payments look better — and make it look like you’re getting a better deal. In reality, a down payment is just monthly payments made in advance. It doesn’t affect the residual or build any equity for you. It’s just a way to net the dealership a better deal while tricking you with the appearance of lower payments. One takeaway you may already be realizing from these tips: Definitely don’t rush into a lease. Take your time and make sure you carefully understand all of your lease terms. There are all kinds of tricks dealers use to make more money from leases, and you have to be vigilant to catch them. For example, another common trick involves charging a high interest rate for a lease. Dealers are required by law to disclose the APR on an auto sale, but not on a lease. Of course they take advantage of that — the interest rate becomes another factor they can manipulate to get you the monthly payment amount you want while adding more to their profit on the lease. You just can’t trust the average car dealer to present you with a fair comparison between leasing and buying. 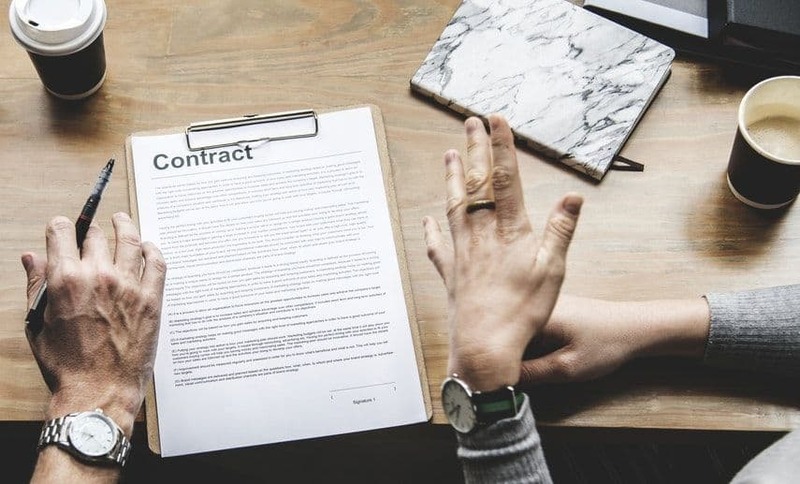 Crunch the numbers yourself, with careful attention to all the terms, add-ons, and other factors that may affect the bottom line of the deal you’re getting. Keep in mind that it’s very easy for a dealer to make a lease look more attractive because of its lower monthly price, but that dealer will almost never have your best financial interests at heart. Are you considering a lease? Thinking about buying? Trying to decide between the two? Feel free to chime in with a comment below.